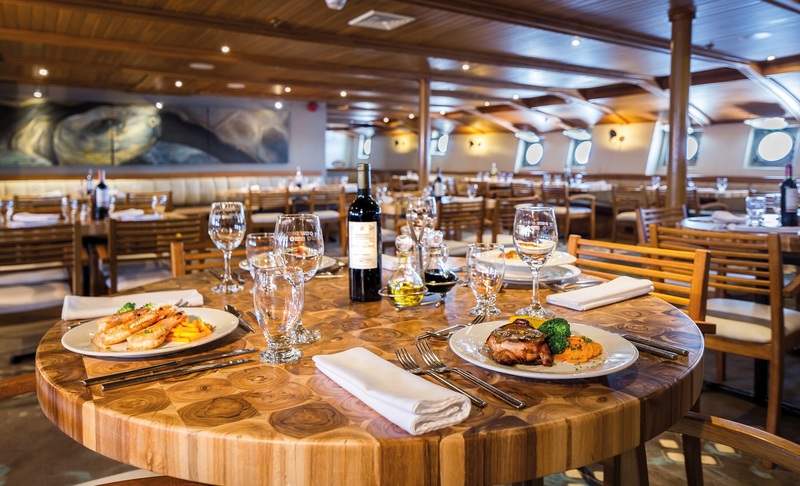 The Galapagos Legend provides a comfortable, entertaining and educational atmosphere for your Galapagos Islands adventure. 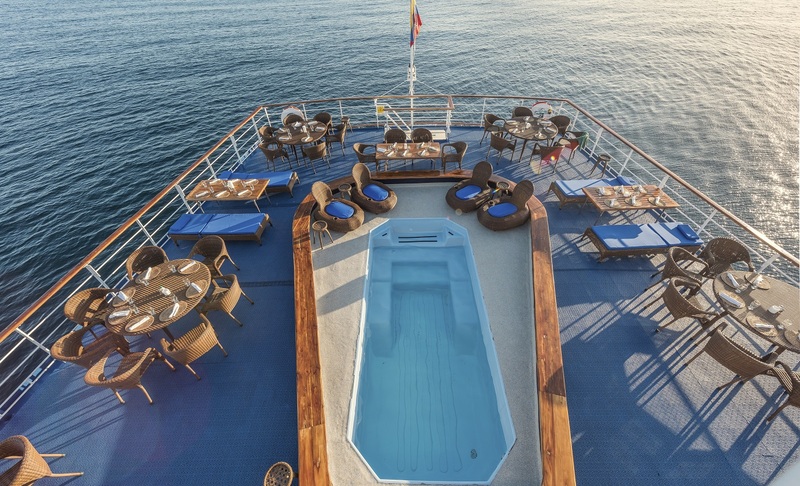 Completely refurbished in 2012 the Galapagos Legend is specifically conditioned for Galapagos Islands cruising and with 1800 square metres of social areas you’ll enjoy all the amenities of a luxury cruise liner, and the privacy of a small ship. Discover a wide variety of plant life in Urbina Bay and observe how its beautiful colours attract different insects, birds and reptiles. 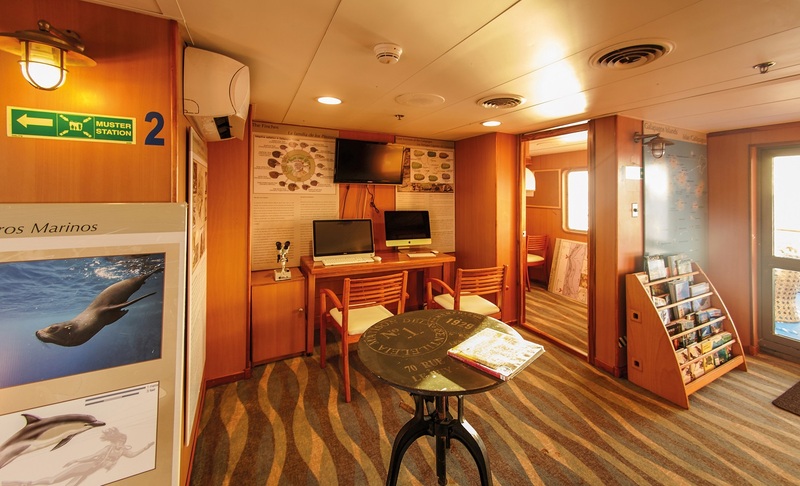 Visit the epic centre of the Galapagos Islands and learn about the interesting facts about the eruption of the volcano activities. Explore the uplifted coral reef while take a lookout on a spectacular view of Alcedo Volcano. 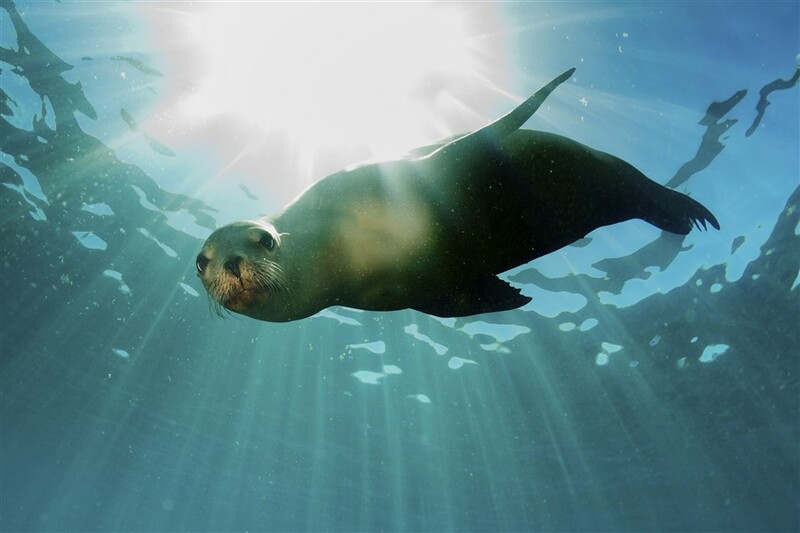 Get close and personal with a chance to swim with sea turtles, sea lions and countless tropical fish. 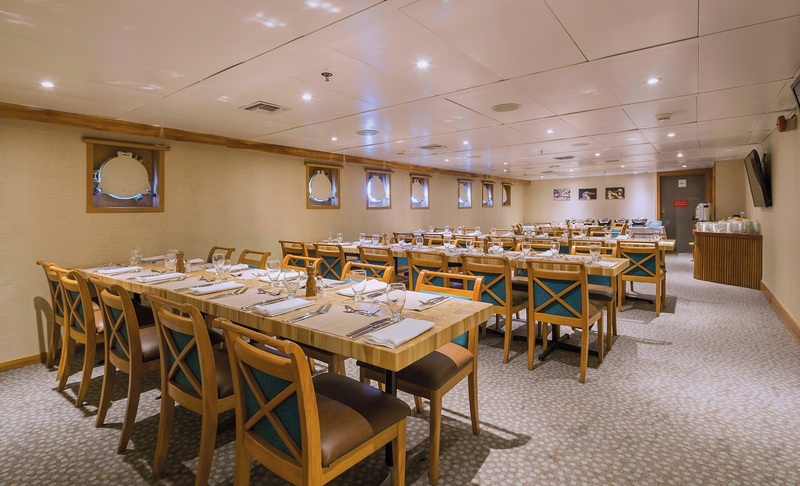 *Looking for a longer cruise? 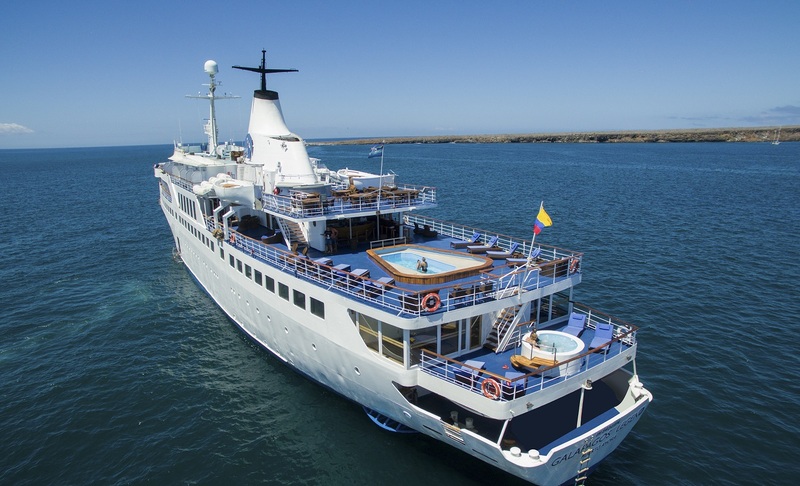 the M/V Galapagos Legend also offer special Itineraries for 8,11,12 & 15 day cruises, please call us for details. 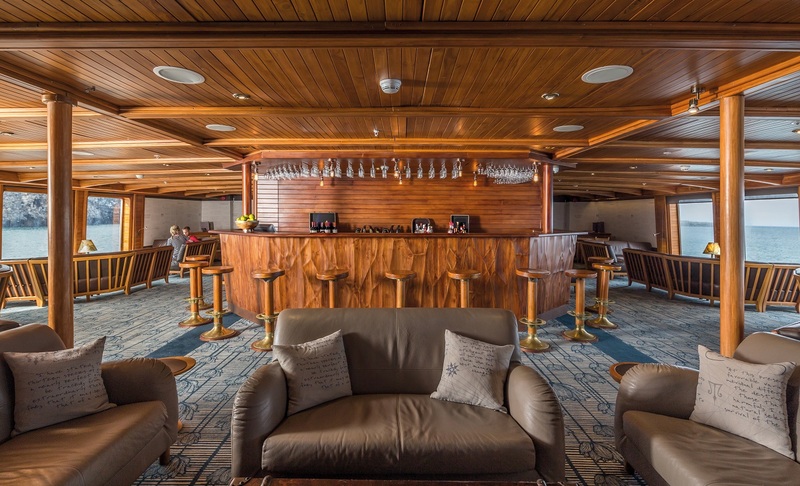 Passengers are picked up at the airport by our naturalist guides and taken on a ten minute bus drive to the pier to board the M/V Galapagos Legend. Wet Landing, Mosquera Islet is located between North Seymour and Baltra Island. 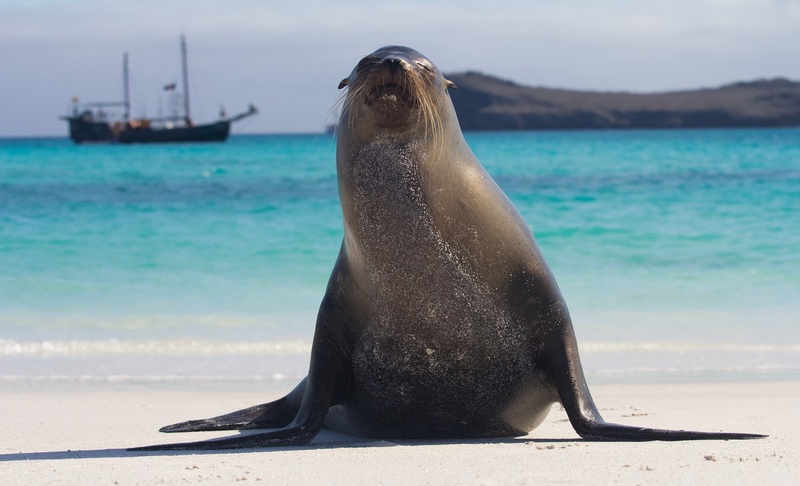 This flat, sandy island has a large colony of sea lions. It is also an excellent site to observe shorebirds such as herons and lava gulls. There is no trail on the islet, the visitor can enjoy the open area. 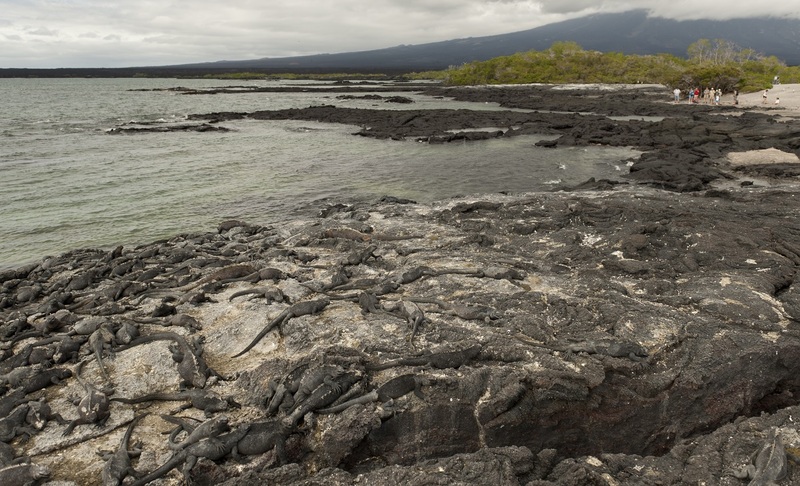 Most of the islet is covered with sand and barren lava rock. Very little sesuvium portulacastrum plants grow on the sand. 1.5 hour walk and snorkelling. Wet landing - Egas Port is a black volcanic sand beach located on Santiago Island, visited by Darwin in 1835. The first section of the trail is formed of volcanic ash (eroded tuff) and the other half is an uneven terrain of volcanic basaltic rock. 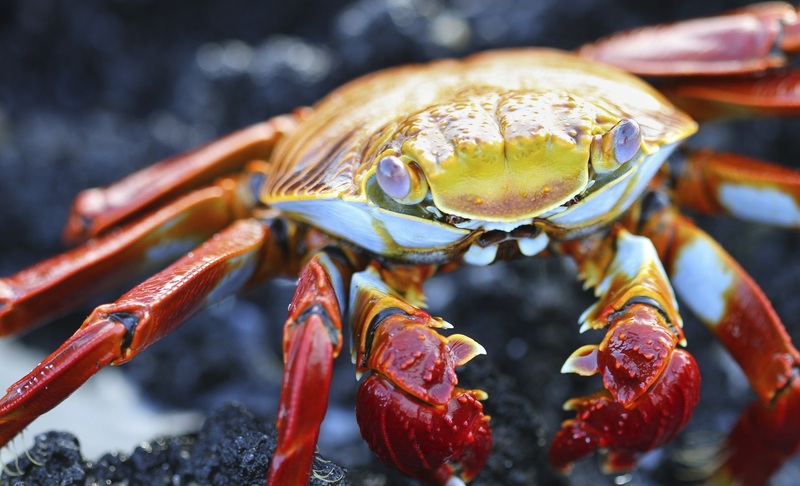 The unique, truly striking layered terrain of Santiago shore is home to a variety of animals including the bizarre yellow-crowned night heron and marine wildlife including lobster, starfish and marine iguanas grazing on algae beds alongside Sally light-foot crabs. 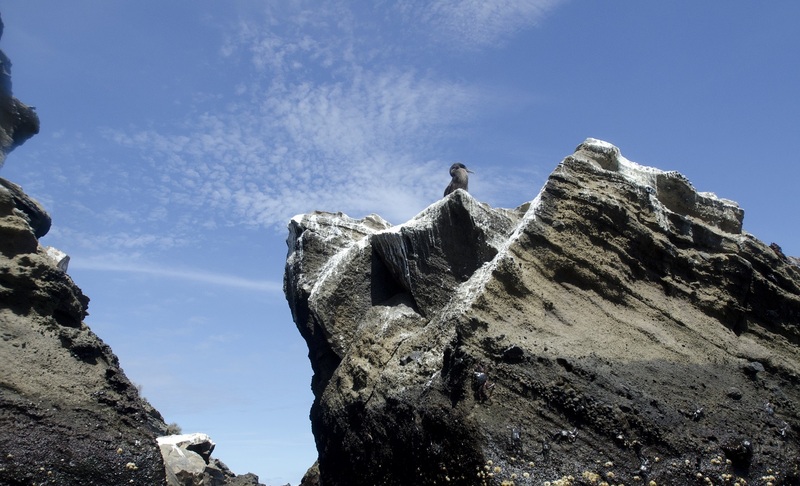 It is easy to see colonies of endemic fur seals swimming in cool water volcanic rock pools. Wet landing - Dark-red sand covers the unique beaches of this island, home of sea lions colonies; Rabida is considered the epicenter of the Galapagos Islands due to the diversity of its volcanic geology. Nesting brown pelicans are found from July through September plus nine species of the famous Darwin's finches. Here a dinghy ride along marine cliffs is done, to observe nesting seabirds. Snorkel off the coast, where marine life is particularly active. Wet landing onto Isabela Island (might be difficult due to the tide) - Volcanic black beach, depending on the season, it is possible to find giant tortoises, land iguanas, and the unusual flightless cormorant. After a short walk inland it´s snorkelling time, a chance to swim with sea turtles, sea lions, and countless tropical fish. Urbina Bay features a wide variety of plants with the different range of colours in flowers, attracting different insects, birds, and reptiles. One of the highlights of the island is the uplifted coral reef that resulted from the 1954 seismic activity; here the views of Alcedo Volcano are remarkable. 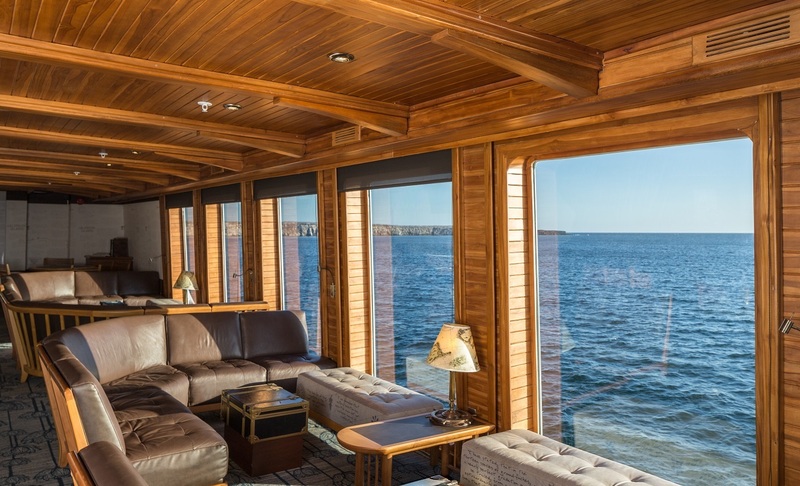 When navigating from Urbina to Tagus Cove whale watching is usual in May – December. Dry landing on Galapagos' largest island where we will learn about the eruption of the five volcanoes that form it. The trail leads to Darwin's salt-water crater lake and excellent views of lava fields and volcanic formations.We will return by the same path for a dinghy ride along a shoreline full of marine wildlife, where we will admire a variety of seabirds, such as Blue-footed Booby, Brown Noddy, terns, Flightless Cormorant and Galapagos Penguins. Chances for snorkelling. Dry landing onto Fernandina Point. From Espinosa Point, is possible to admire a wide view of Isabela Island across the Bolivar Channel, an area that boasts some of the highest diversity of endemic sea fauna in the Galapagos. 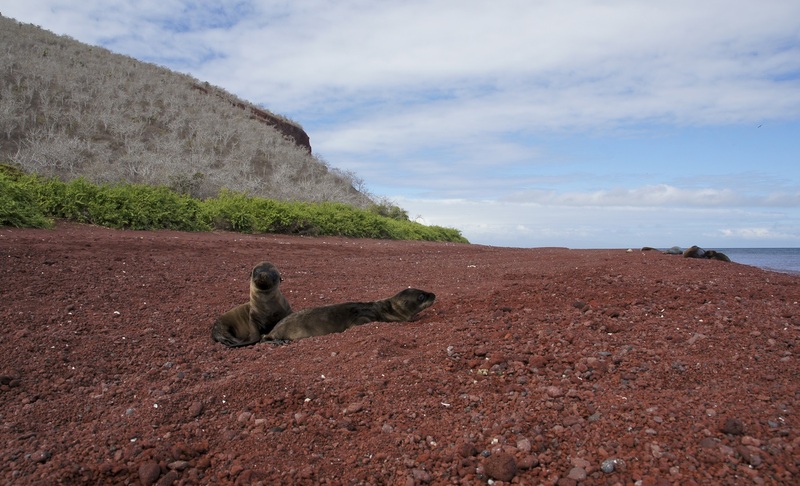 Here the largest, most primitive-looking marine iguanas are found mingling with sea lions and Sally Lightfoot crabs. 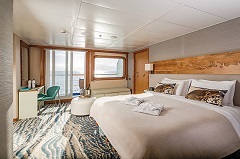 Wonderful opportunities to encounter flightless cormorants, Galapagos penguins and the “King” of predators on the islands, the Galapagos hawk. Pa-hoe-hoe and AA lava formations cover the majority of Fernandina terrain. Vegetation is scarce inland, with few brachycereus cacti. In the shore mangrove can be found. Great deep-water snorkelling at one of the richest marine havens on Earth, the Bolivar Channel. 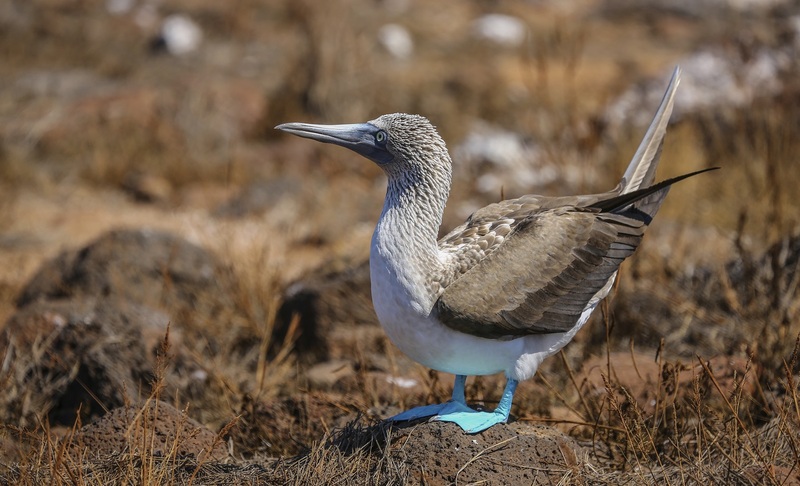 Accessible by water, we take a dinghy ride along the coast to observe a great diversity of sea and coastal birds; Nazca and blue-footed boobies, noddies, brown pelicans, penguins, flightless cormorants. Dry landing onto Santa Cruz Island - In the mountains of Galapagos is possible to admire different kind of birds, such as: tree and ground finches, vermillion flycatchers, paint-billed crakes, yellow warblers, and cattle egrets (usually standing on the tortoises' shell). 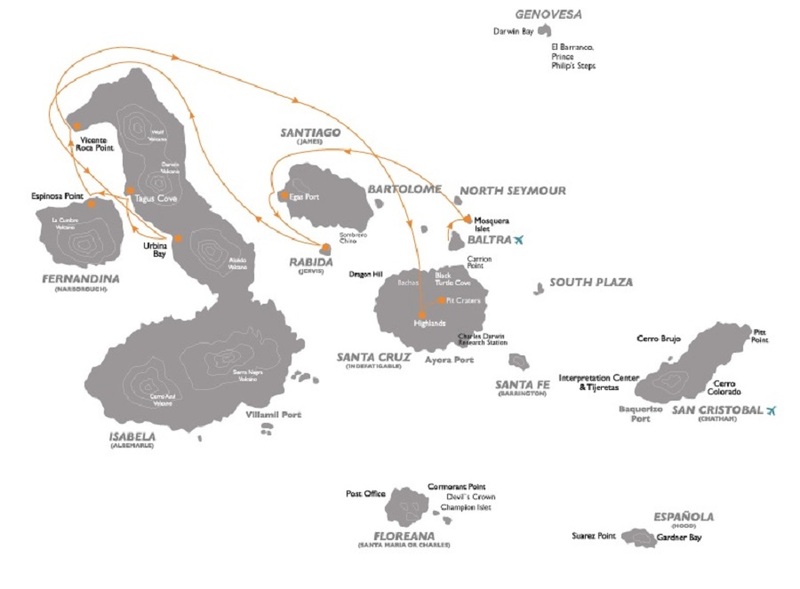 The journey to the reserve offers great opportunities to see the contrasts that the island offers in reference to the variety of ecosystems. The road goes from the coast through the agricultural zone and straight up to the dense humid forests. Often, Galapagos Giant Tortoises are also seen on the way, wandering through pastures in the paddocks. This spot is a birdwatchers' haven, since almost every land bird present on the island lives or migrates here. After the visit, passengers will be transferred to Baltra airport for their return flight to mainland Ecuador. 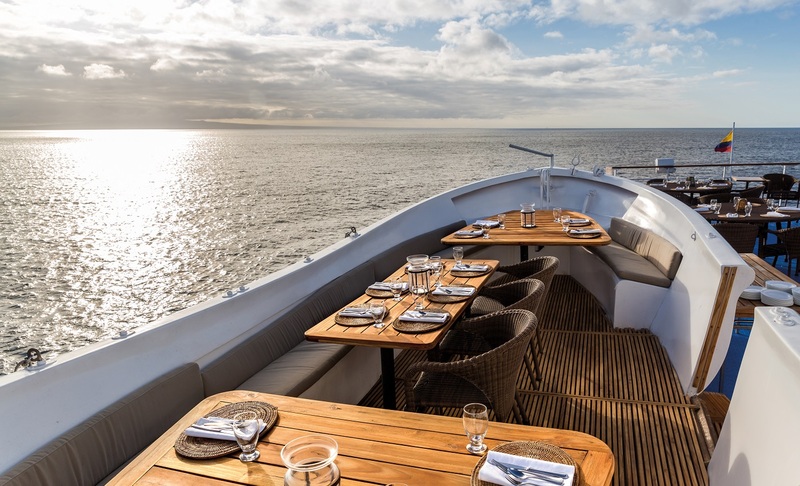 11sqm/118sqft, double bed, private bathroom, two porthole windows, hairdryer, satellite telephone (internal, local and international), internet access (when anchored at main islands), a voltage of 110-220V/60Hz and thermos/iconic postcards as souvenirs. 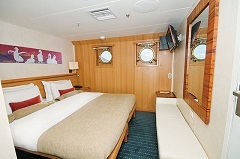 15sqm/161sqft, located on earth deck, double bed, private bathroom. 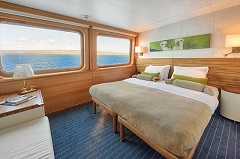 large panoramic windows, hairdryer, satellite telephone (internal, local and international), internet access (when anchored at main islands), 110-220V/60Hz voltage and thermos/iconic postcards as souvenirs. 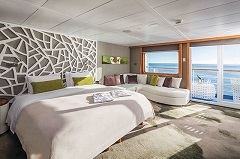 22sqm/237sqft, double bed, private bathroom, panoramic windows, private balcony, complimentary champagne bottle, top of the line amenities and bathrobes, hairdryer, satellite telephone (internal, local and international), internet access (when anchored at main islands), 110-220V/60Hz voltage and thermos/iconic postcards as souvenirs. 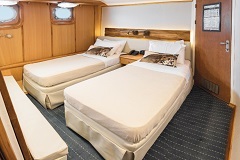 33sqm/355sqft, located on moon deck, double bed, private bathroom, panoramic windows, private balcony, complimentary champagne bottle, top of the line amenities and bathrobes, hairdryer, satellite telephone (internal, local and international), internet access (when anchored at main islands), 110-220V/60Hz voltage and thermos/iconic postcards as souvenirs.